The expression, ‘the only constant is change’, has been with us since 500BC and despite the incidence and pace of change being greater now than it ever has been, it isn’t technological change but the events in people’s lives that often demand a response from them. In the eight stories in ‘The Only Constant’ the characters are presented with changes wrought by issues including health, unemployment, death and an unplanned pregnancy – events that people deal with on a day to day basis out of the spotlight of the headlines and world news. 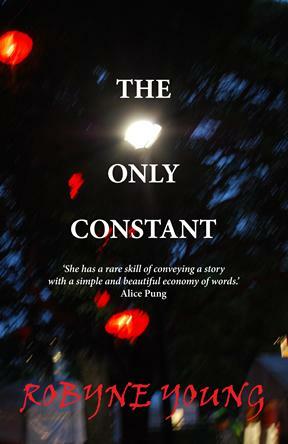 With stunning illustrations by Albury artist, Suzanne Hicks, ‘The Only Constant’ is a new collection from a gifted storyteller. Click here to visit Robyne's blog site.